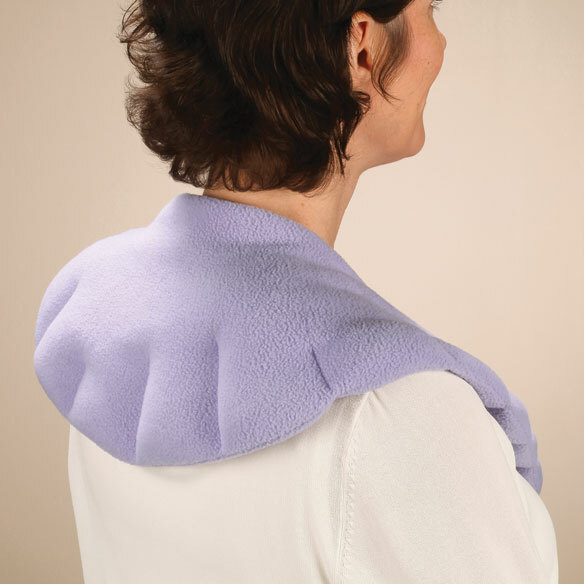 Soothing neck & shoulder wrap hugs the neck and shoulders for warm or cool therapy in the comfort of your favorite chair. Heat in the microwave to help release muscle tension and stress, or cool in the freezer to soothe pain and inflammation. Enjoy relaxing warm or cool therapy anytime. Microwave heat pads' plush fabric is soft against skin. Hook-and-loop strap keeps wrap in place for hands-free comfort. Herbal fill helps maintain desired temperature. Subtle lavender scent helps promote relaxation. 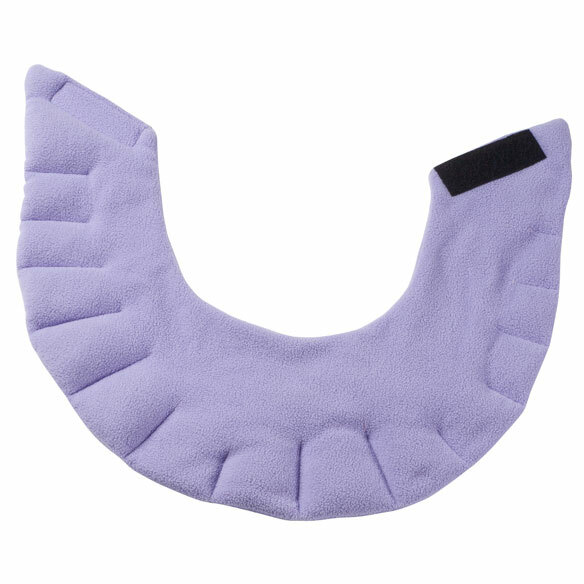 Heated neck wrap measures 21 1/2” x 6 1/2”. I would buy this item again with one added hook and loop. adding the hook and loop addition will help adjust for smaller necks. Other than that I find it fantastic. I works well and heats evenly. Placing a towel on the outside helps keep the heat in for a while longer. attractive, and fastens in front with hidden velcro --- Oh, plus the price is reasonable. A good friend recommended I order this soothing neck & shoulder wrap. It looks great and certainly worth trying. Previous neck wrap from Easy Comfort was great. My neighbor loves her shoulder wrap. I've had one before and really enjoyed it. I wore it out. Because I have severe neck and shoulder pain. Had 1 before and wore it out used so much. help mother's aches in neck and shoulder. my daughter spoke of this item and expresses an interest in it. Perfect for soothing tired shoulders after a long day of work. My husband's shoulders and neck ache a lot. This product will help control the aching. Provide myself with warm moist heat to ease fibromyalgia pain. What is the fill material made of? BEST ANSWER: Thank you for your question. The shoulder wrap is filled with buckwheat hull. We hope this information will be of help to you. According to the label it is filled with "natural seeds." It does not say what the seeds are. They seem to be tiny - perhaps flax. what is the size of the wrap? BEST ANSWER: Thank you for your question. The wrap is 6 1/2"Lx21 1/2"W. We hope this information will be of help to you.